The area is at Interstate 77 (a.k.a.Vietnam Veterans Memorial Hwy) and Route 241 (a.k.a. Massillon Road). 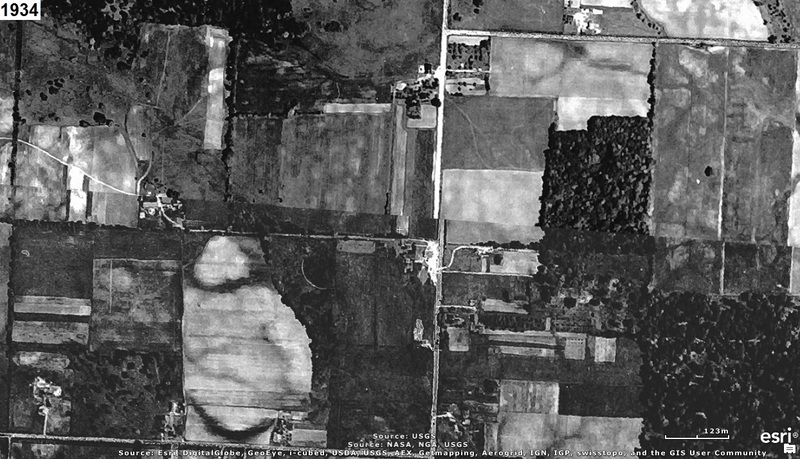 The aerial photo below includes a white rectangle to identify the area in the aerial photos above. which is now Federal Express and, across the road, Green High School.